Breaking up with the vehicle you have owned for many years can be difficult, but sometimes it just has to be done. You might be attached to that Hyundai Elantra you have owned since 2001, although we have no idea why. You might want to continue driving that 1995 Honda Civic you bought while going to college, but it’s a coin flip whether or not it will get you to work each day. You have treated your ride very well over the years. You brought it in for oil changes every 3,000 miles, had it serviced an a regular basis and even had Clear Vision Auto Glass in Delaware replace the windshield twice. But you fear that your car is at its end of days. If you are debating whether or not it is time to move on, here are a few signs that you need a new car. If you have kids and they force you to drop them off three blocks from their destination, it could be because you are seeing your car through rose-colored glasses. Your Mini Cooper with the “give peas a chance” and “my kid beat up your honor student” bumper stickers could be a huge embarrassment for the rest of the family. Perhaps your Mini Cooper would look better as a cube of mangled metal. If you have to seek out a gas station twice a week and you only commute a few miles to work, it might be time to dump the gas hog for a car that gets better mileage. Your car routinely leaves a plume of smoke in its wake and has been known to block out the sun in your neighborhood for days. Every time you start up your car, a polar bear in Greenland dies. Your carbon footprint is as big as the car you drive. You get the picture. It makes perfect environmental sense to buy a new car. If you have to take out a small loan or sell off a portion of your collection of Beanie Babies every time your car breaks down, you may want to consider just buying a new one. Just think about all of the money you will save on auto repairs. You are taking your car to the mechanics for the fifth time this year and you will tell them the same thing; your engine is making a funny noise. Well, your engine is making a funny noise because it is screaming to be put to death. No matter what the mechanic does, your engine will always make a funny noise, there is just no way to fix it. So give your mechanic a break and buy a new car. It is time you bought a new car if your check engine light has been on so long that it burned out. 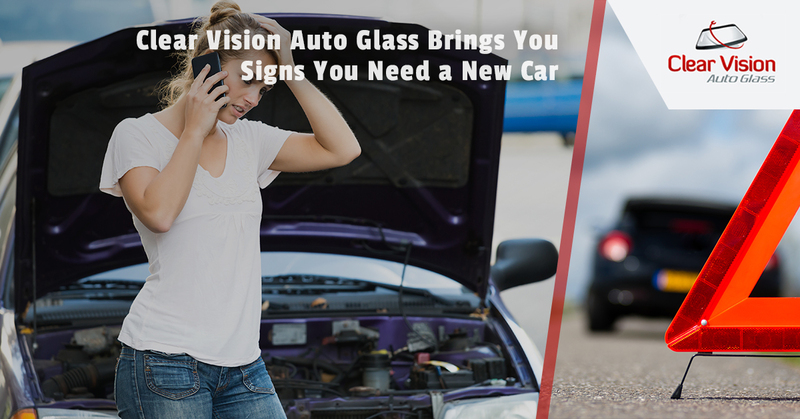 If your car is running just fine but is in need of a new windshield, contact Clear Vision Auto Glass today.